Lee & Marie’s Cakery, a dynamic bakery/cafe hybrid or “cakery,” dishes up delicious baked goods, sandwiches, salads and other mouth-watering delights, located at 40 South Pointe Drive on South Miami Beach, the indoor/outdoor fifty ticket restaurant is the brainchild of public entrepreneur and philanthropist, owner Andrea “Andy” Travaglia. Lee & Marie’s Called to accolade the quality recipes of Travaglia’s daughters’ grandmothers, the quaint, homey shop serves breakfast together with the afternoon meal every day, with a list of food options of newly prepared stuff such as a roster of scrumptious cakes, cookies and confections, which modifications on a daily basis depending on the accessibility to neighbourhood ingredients. Everything is made from scratch in L&M’s production cooking area, stored in the centre of the Wynwood Arts District. A cheerful dining room is equipped for eating antique porcelain, antique cupboards and shared a rustic wooden table. Prices are reasonable: Sweets average $3-$5 and sandwiches $9. Quinoa with microgreens and Caesar salad to share the menu with Savoy BLT sandwich and connection box bread, pork belly, kimchi and avocado aioli and smoked salmon with cream. Treat sweet tooth for layer cakes, pies Boston Creme, perfect, coffee, muffins and Meyer lemon bars. 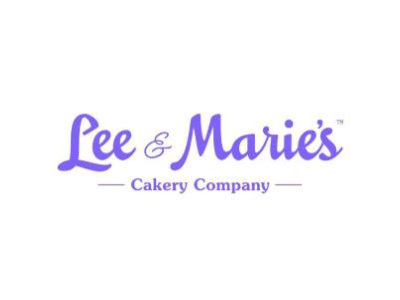 Lee & Marie’s was conceived with two missions: firstly, to create a much needed nearby bakery that supplied an innovative and also delightful twist on American bakery classics. The second and most important objective embraces a set off in close proximity to Andy Travaglia’s core, providing support and employment to adults with Autism Selection Malfunction. In conjunction with the College of Miami/Nova South eastern University’s centre for Autism and Related Disabilities, Lee & Marie’s offers job programs for autistic adults, helping to guide them on a path to greater independence and an enhanced quality of life.